Reading With Scissors: I'm a Mother-in-Law! My baby got married this weekend. My baby got married this weekend. Maybe if I say it enough times it will seem real. My baby got married this weekend. The great news is I love my new daughter-in-law! Not only is she beautiful, talented, and in love with my son, but she and her mom know how to throw a wedding. From the venue, to the flowers, to the dresses, to the cakes--it was all stunning. And you know why I love her even more? She asked me to help decorate the sweets table. Flattery will get her everywhere. Wedding colors were cranberry and gray, so her grandmother and I teamed up to make a matching confectionary fairy tale. 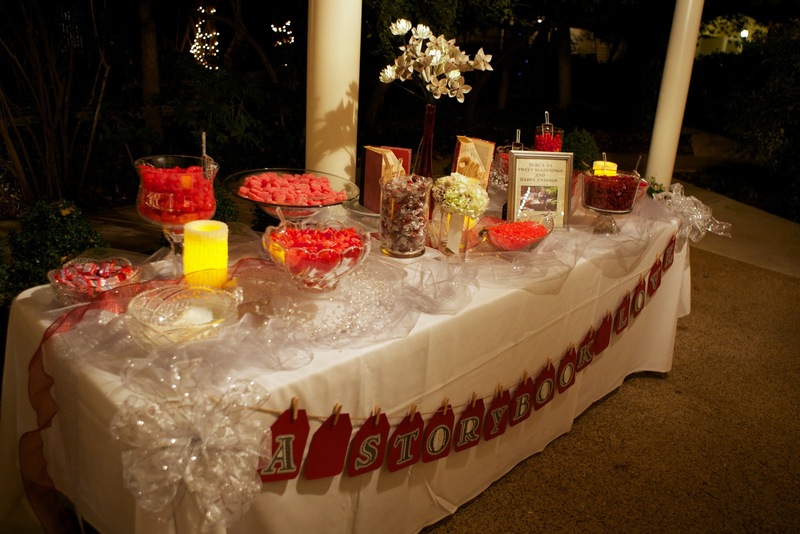 The table was covered in hot tamales, pop rocks, sugared cherry candy, red licorice, and more all in gorgeous crystal and glass containers. My job, of course, was to make stuff with books because that's my best thing. Actually, it's my only thing. My friend, Debbie, tells me decorating should always have a theme so picking one was my first task. 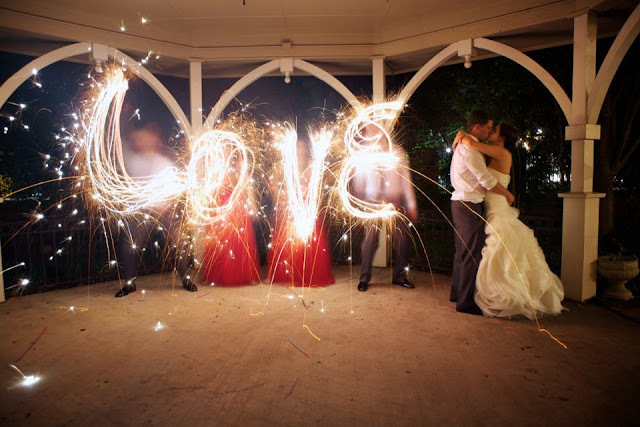 I decided to go with "A Storybook Love," because, well, it was about books. I started by making a banner. I downloaded a really cool font called Matador and printed out the letters on some of Barb's dictionary pages. I cut them out and outlined them with silver cardstock and then glued them on some sparkly tags that I made. A length of twine, some tiny clothespins, and voila! ... the banner you see below. Next, I made some kusudama flowers from Winston dictionary pages with a cranberry jewel in each center and placed them in a tall red vase for another pop of color. We added some lighted branches for effect. Then I folded a couple of books, of course. Mr & Mrs. in this case set on cake plates and flanking the flowers. And finally I printed a sweet sentiment on another dictionary page, attached a picture of the happy couple, and framed it in silver. I'm so happy to have been part of the decorations. Thrilled! The whole evening was magical! Hey, did I tell you? My baby got married this weekend! Amazing, Steph!!! But I would expect nothing less!!! You did a beautiful job! This is great Steph! I love the theme. I think you should do last names as wedding presents. Cathy, I did do a last name as a shower gift the other day. Turned out pretty well, I thought.